We are very proud to bring you three British indie film legends and the creative team behind SATAN’S SLAVE (1976). Director Norman J. Warren (INSEMINOID, TERROR, PREY) is one of Britsploitation’s most revered luminaries; Writer David McGillivray (FRIGHTMARE, HOUSE OF WHIPCORD, SCHIZO) is a renowned raconteur with many a naughty tale to tell; and Composer John Scott (DIE HARD, ZOOLANDER, THE LIMEY) joins us from the US to share his stories as one of the finest composers working in film today. Not to be missed! Brian shot to fame in the 1980’s as lead singer of accapella group The Flying Pickets, whose version of Only You was a Christmas Number 1. He appeared in many films, including Twin Town, Revolver, The Baker and, most recently, Svengali. He was also a star of the small screen, with roles in Eastenders, Coronation Street and Funland. Brian died in 2012 after a long battle with prostate cancer. He was a champion of new talent, a consummate professional and a man who loved his work. 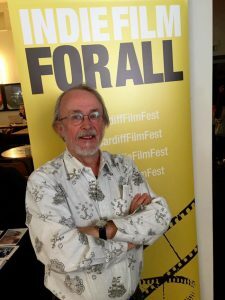 Brian gave a lot of emerging filmmakers a leg-up and we are honoured to have his widow, the actress Caroline Bunce, present The Brian Hibbard Award at Cardiff Independent Film Festival. Peter Lord, the man behind Morph, Director of THE PIRATES! BAND OF MISFITS and Co-Founder and Creative Director of Aardman Animations (WALLACE & GROMIT, SHAUN THE SHEEP, CHICKEN RUN), discussed the history of his company and its many much-loved hits. 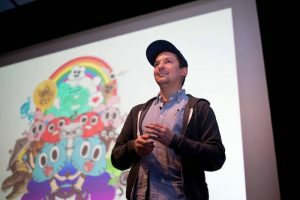 In an in-depth presentation and screening of Aardman gems old and new, Peter captivated a capacity audience with insights into his process; anecdotes about making some of the studio’s most treasured titles; and discussion of the challenges in releasing movies in an increasingly crowded market place. He even made a Morph as he talked. Legend. 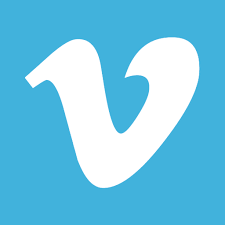 Popular with children and adults alike, THE AMAZING WORLD OF GUMBALL is a mixture of stylized traditional animation, puppetry, photo-realistic CGI, stop motion, Flash animation and live action. Now in its fourth series, it tells the story of Gumball, a 12-year-old cat and his escapades in the fictional American town of Elmore. Oscar-nominated animator Joanna Quinn, the local legend behind such work as GIRLS NIGHT OUT and BODY BEAUTIFUL, gave our audience a fascinating look at her process, from concept to the finished piece. 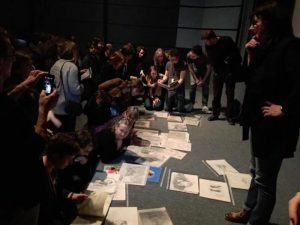 Joanna even gave a live animation demonstration and invited fans stage-side to check out her extraordinary artwork. 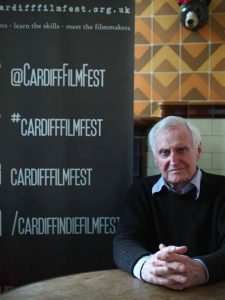 Legendary Director John Boorman, the man behind such classics as POINT BLANK, EXCALIBUR, HOPE AND GLORY, THE TAILOR OF PANAMA, THE EMERALD FOREST and the white knuckle thriller DELIVERANCE, presented his last ever film and answered questions on his amazing career in film from Chapter’s Tom Betts and our audience. Our audience were treated to invaluable insights into the craft of film, courtesy of Stephen Frears (Director of DANGEROUS LIAISONS, HIGH FIDELITY, THE QUEEN, PHILOMENA), interviewed by Buzz Magazine’s Keiron Self; and Paul Andrew Williams (Director of LONDON TO BRIGHTON, A SONG FOR MARION, CHERRY TREE LANE, THE COTTAGE), interviewed by the Director of BAFTA Cymru, Hannah Raybould. Director Keri Collins and Producer and Star of CONVENIENCE Ray Panthaki presented their new feature to a hundred strong crowd. The comedy, which also stars Vicky McClure (THIS IS ENGLAND) as a frustrated clerk, and which features performances from Anthony Head (BUFFY) and Vern Troyer (AUSTIN POWERS), was met with rapturous applause, as was the post-screening Q&A, hosted by the inimitable Tom Betts (SECRECY). British Independent Film Award winners John Giwa-Amu and Caradog James shared some valuable tips with a crowd of almost seventy aspiring filmmakers. 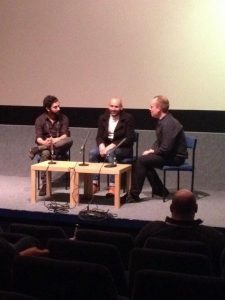 The movie-making duo, who have 6 British Academy Cymru Awards between them, also gave exclusive insights into their Raindance smash THE MACHINE (in cinemas March 21st 2014).